This highly interactive workshop on Awakening Joy is inspired by the Buddha's teaching: Whatever you think and ponder upon, that will become the inclination of the mind. 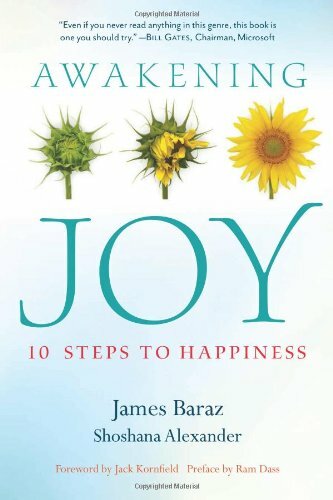 The instructors will lead the class through the first half of Awakening Joy: 10 Steps to Happiness, by James Baraz and Shoshana Alexander, and practice awakening the mind to joy. Each week begins with meditation. Classes will explore brain science, poetry, readings, and actions that support joyful living. Audrey Charlton, whose dharma name is Sekkei Kyodo - Snow Wisdom, Abiding in Truth, is a senior member of the Zen Center and a retired consultant. Her Zen practice includes Ikebana, the Way of Flowers, which she expresses in the flower arrangements she creates throughout the Zen Center. Mary Carol Edwards, whose dharma name is Shinji ChiGe - Compassionate Heart, Flowering Wisdom - is an assistant teacher at the Zen Center. She also expresses her practice in guiding the care of the grounds, trees and vegetable garden of the Center, devoting many hours every week to their care.